Recovering B&B Actress Linsey Godfrey: "Thorsten Kaye Fed Me My First Meal"
Linsey Godfrey returned to The Bold and the Beautiful as Caroline Spencer on Wednesday. She appeared in a scene where Caroline shared a phone call with lover and collaborator Ridge Forrester (Thorsten Kaye). Entertainment Tonight caught up with Godfrey to talk about her recovery after being hit by a car and and pinned underneath it. Godfrey shared how her costars, including Kaye and her TV uncle Don Diamont (Bill Spencer), have been there for her. 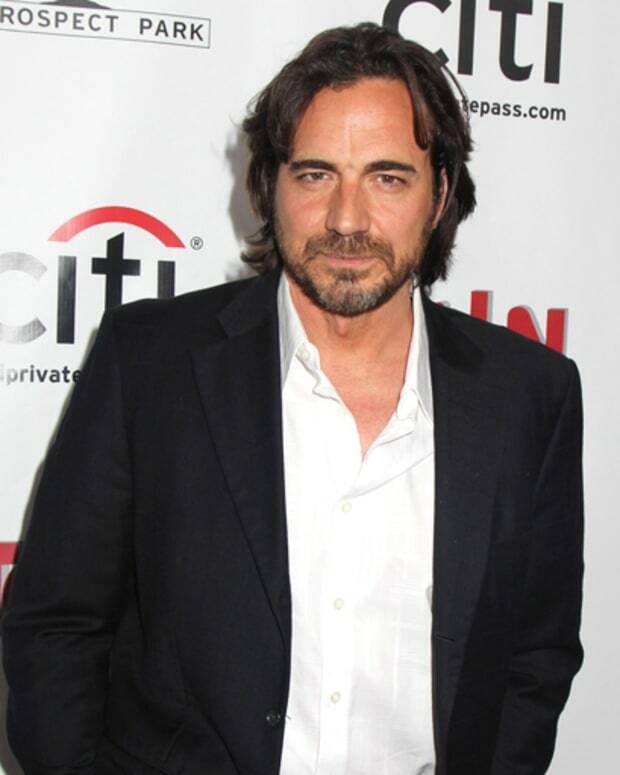 "Thorsten Kaye, who plays my love interest, fed me my first meal. Force fed me. Don Diamont called my mom and would come and come and visit me, early, he&apos;d wake me up in the morning and be like &apos;hey just wanted to be here.&apos;"
Watch Entertainment Tonight&apos;s interview with Godfrey below!